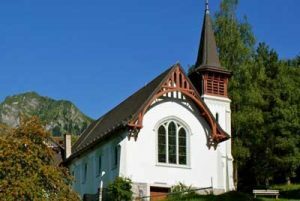 in Switzerland from 1840 to present day. 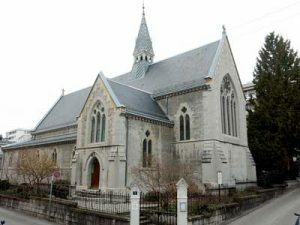 History of St. John the Evangelist, Aigle Records show that summer seasonal services were held in the Grand Hotel des Bains in 1885. 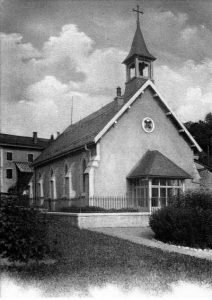 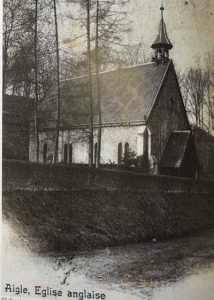 A chapel, named St. John the Evangelist was built in the neo-gothic style in the grounds of the hotel and inaugurated on 21 June 1888. 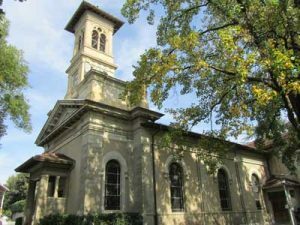 The chapel could seat 70 to 100 people.